This was a Dreamweaver created website loaded onto the Shepherd University server and the final project of this class. A website about bowling? How exciting! Bowling has always been a significant part of my life. Ever since I was little, and even before I was born, my parents and grandparents went bowling every week. They had their own bowling team on a bowling league in Baltimore. Then, we moved to West Virginia, going bowling was always a weekly outlet for family time. It wasn’t until I was a teenager that I got my first job at a bowling alley and still keep that job currently. In high school, I joined a youth bowling league that bowled every Wednesday. My parents even bought my sister and me our own shoes and bowling balls. So, creating a website about bowling was definitely an obvious choice. In my site, I would like to include information such as how to bowl with the proper technique by tutorial videos and also how to keep score (not electronically). 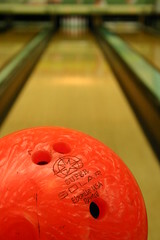 There are so many details about bowling, such as the companies, ball types and weight, history and so much more. What many people do not realize is that bowling is actually pretty legit, with its own specific league rules and regulations, many of which I will explain and keep up to date on the website.